‘Fifth Photo,’ a novel by Rim Hwa-won, was a North Korean attempt to explain what happened to the once great Soviet Union and why its people jettisoned the ‘glorious’ socialist system. Contrary to what most outsiders think, the Soviet Union did not feature prominently in North Korean fiction. In the 1940s and 1950s, a number of obligatory paeans to the ‘great Soviet brother’ were published, but when relations between Moscow and Pyongyang turned sour in the late 1950s, the Soviet Union ceased to be a topic in North Korean fiction. 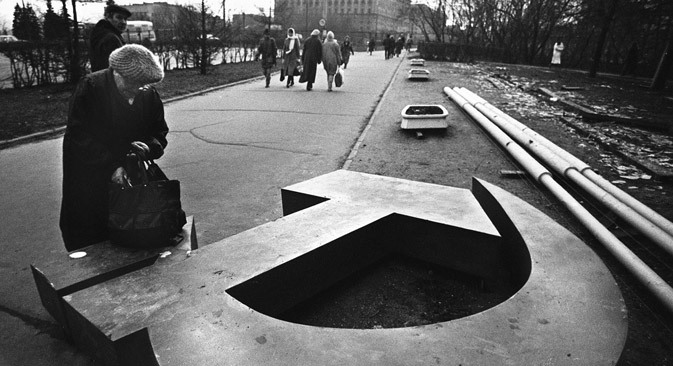 Soviet themes and characters made a moderate comeback in the 1980s, when relations improved to a certain extent. But in the 1990s, things changed far more dramatically when North Korean writers (essentially another species of agitprop bureaucrats) had to explain what had happened to the once great Soviet Union and why its people jettisoned the ‘glorious’ socialist system. A typical example of such fiction is a book titled ‘Fifth Photo,’ which was penned by Rim Hwa-won. The story’s major protagonist is Katya Sintsova, a lovely young Russian girl born into a family with impeccable official credentials. Her great grandfather died fighting evil landlords and capitalists in 1919, during the Russian Civil War. Her grandfather was killed fighting the Nazis in the 1940s, and her father was a selfless party apparatchik, who thought of nothing but the glory of the Soviet state. Alas, Katya Sintsova deviated from the great path of socialism. This was partly because of her naivety. She is presented as the archetypal Soviet person – basically good, but misled by revisionists and somewhat credulous when it comes to serious matters like politics. While at university in the 1980s, she begins to socialize with students who have unhealthy ideological views and interacts with foreigners (a big sin, according to the author). Katya begins to find official meetings to be excessively boring and looks for something more adventurous. Her search for adventure predictably does not end well. A heartless American seduces and then abandons her when he finds out she is pregnant. She subsequently has to have an abortion. As a matter of fact, Rim Hwa-won’s idea is especially ridiculous, since in real life, at around 1990, former party apparatchiks were enjoying the fruits of rapid privatization of state property. At this tragic point in her life, Katya Sintsova has the good fortune to meet the North Korean narrator of the story – the embodiment of all ideological virtues and a loyal follower of the Great Leader Generalissimo Kim Il Sung. In some other North Korean stories on similar topics, the meeting between a North Korean and a Russian becomes the turning point of the story, where the Russian protagonist is pulled back from the abyss. Alas, but this is not the case in this story. In due course, Katya Sintsova discovers that her scheming lover was not an American after all. He came from the same family of Russian landlords, who were responsible for the death of Katya’s great grandfather and her seduction was, needless to say, part of a decades-long quest for vengeance. Soon a new disaster befalls Katya, who went overseas to look for her lover. She is involved in a traffic accident and loses her leg. Desperate, she becomes a prostitute in the German city of Munich. The metaphor is clear. The North Korean readership should see Katya Sintsova as the embodiment of Russia itself, whose citizens in spite of being basically good revolutionaries forgot their ideological vigilance and paid dearly for their naivety.